You can travel around the world and eat everything you love about food, especially fried chicken. I don't know what's all about with the chicken, why everyone loves fried chicken! 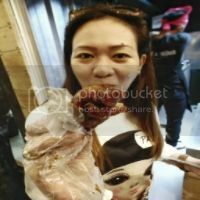 Finally, I found the great fried chicken that Filipino's will truly loved. 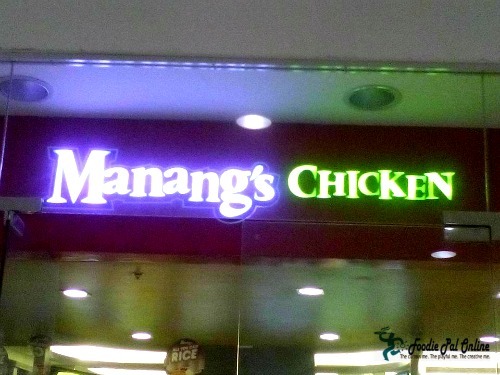 I admit there are lot to picks for the crispiest, crunchiest, finger-licking fried chicken around the globe, but this Manang's Chicken will I guess, probably stood up for its crispy, meaty and delicious taste. 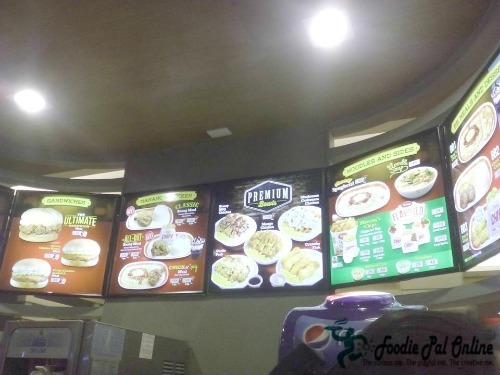 For their FOOD MENU you can pick your choices from their counter top menu lists. 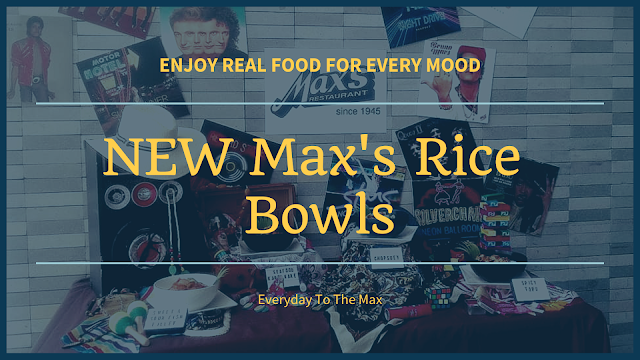 Mushroom Carbonara Chicken from their PREMIUM BOWLS SECTION for only P109. 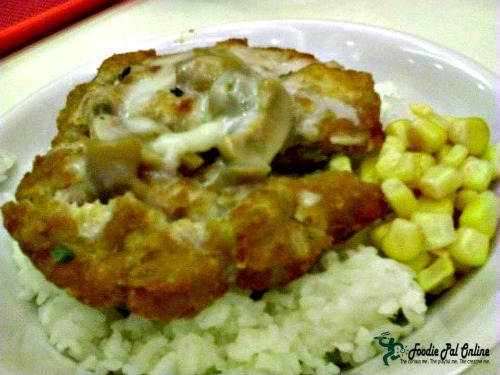 Silky, thick and creamy mushroom carbonara served on top of crispy chicken fillet, corn, rice and plus some garnishing. From the BUDGET BUSOG MEALS SECTION, I pick Chick'N Chips. 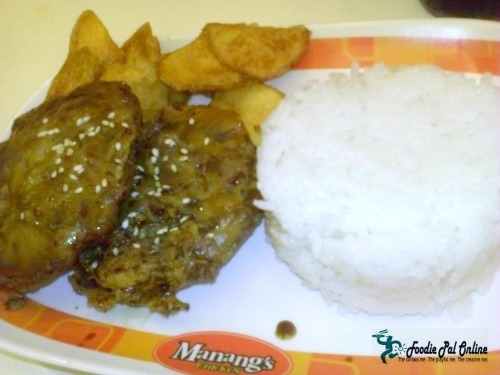 Budget friendly Manang's Chicken, Rice and their famous Chips for only P74. 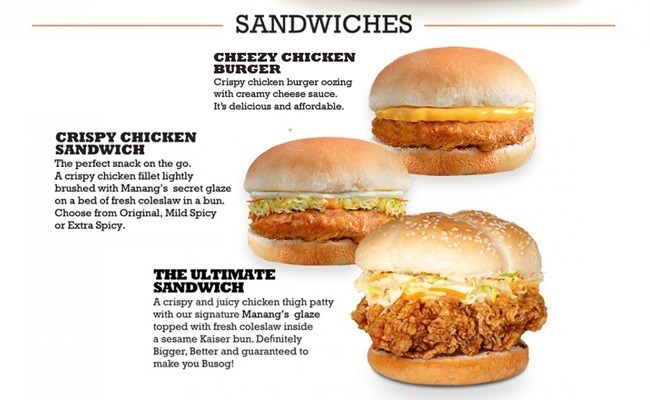 The SANDWICH SECTION, I choose Cheezy Chicken Burger Meal for only P79. I pretty love their sandwich added with their famous natural potato chips. Very delicious and affordable. But wait there's more from their DESSERT SECTION, a CUPCAKE SUNDAE that you're going to go ga-ga! As you finish eating your sundae, you will taste the warm, moist, velvety chocolate cake inside it. 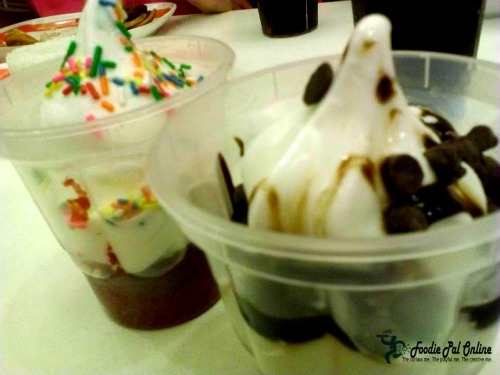 A unique presentation of a vanilla and a fudge ice cream sundae only from Manang's Chicken. 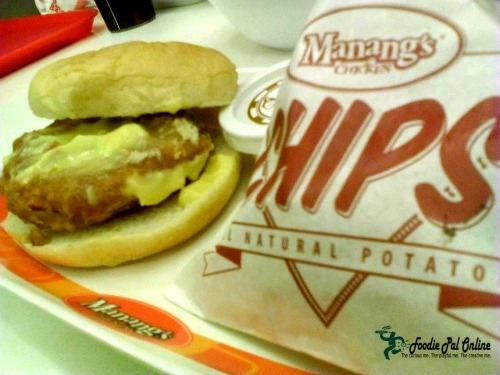 As with many other food chain, Manang's Chicken is a no frills dining. 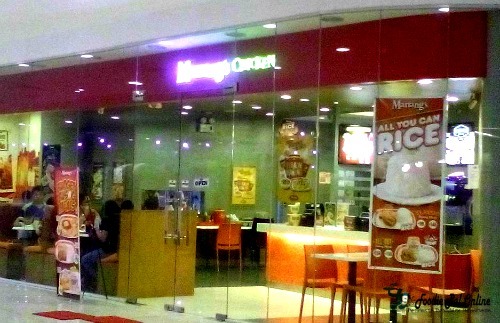 The restaurant sits just inside a mall and if you want for a quick lunch or a dinner you can get it here! 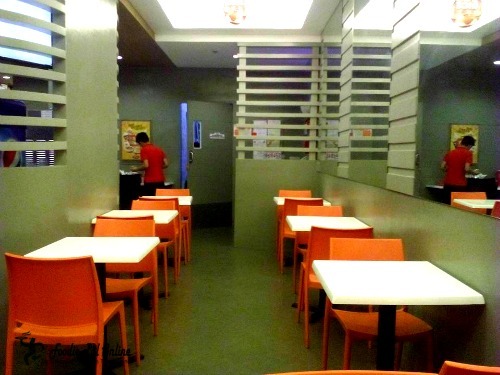 There is nothing fancy you can see inside this restaurant, just the simplest and clean dining and counter area. 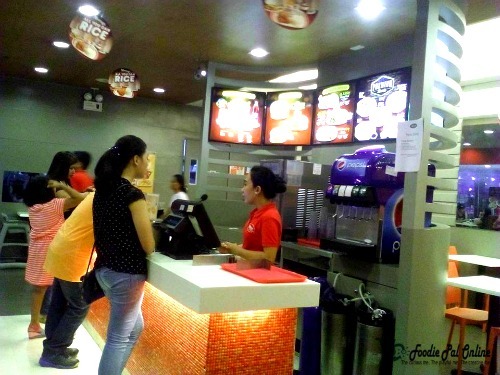 Customers rave about their SIGNATURE CRISPY GLAZED FRIED CHICKEN plus Manang's secret sauce and their famous CHIPS. 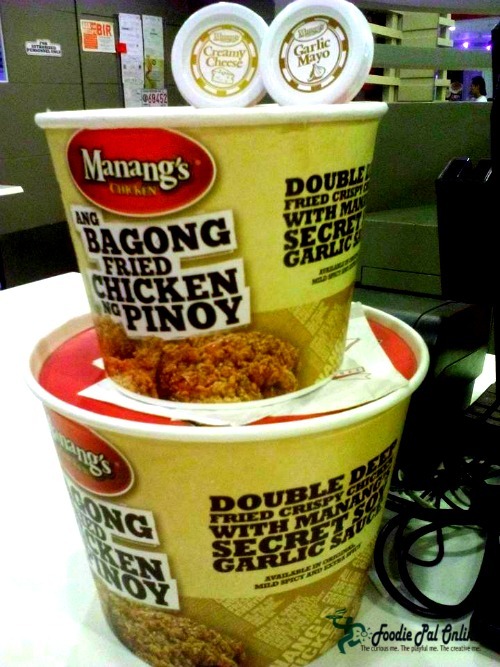 Expect to find true and authentic Filipino Fried Chicken at Manang's Chicken and don't forget to try their Cupcake Sundae, loving referred to us as unique and tempting. 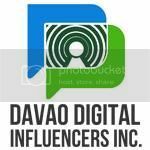 Open during mall hours, located at the 4th Level, Gaisano Mall Davao.